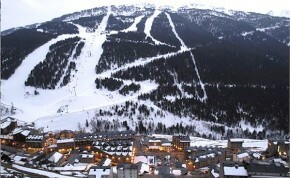 WEsay For its size, the GrandValira ski area is comparable to many resorts in the Alps. The home for boarders in the Pyrenees! 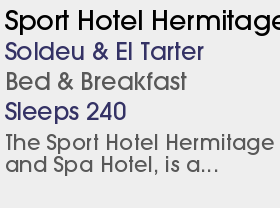 Set in the Andorran Pyrénées, Soldeu and nearby El Tarter are part of the world famous Grandvalira ski area offering and extensive 193km of pisted runs. It is set on a steep hillside facing the ski area across the valley. 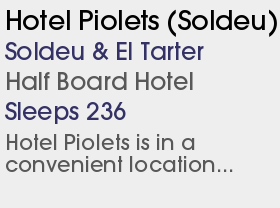 The fantastic modern lift system effortlessly links both Soldeu and El Tarter ski areas with a good choice for all abilities. Soldeu has led the way in Andorra's transition from a budget to quality ski destination with its excellent choice of high standard accommodation. Excellent beginner and early intermediate terrain. The superb ski schools benefit for instruction by native English speakers. 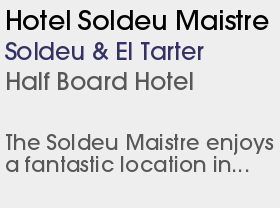 Soldeu offers an attractive village vibe and excellent facilities for families coupled with some lively evening après. El Tarter is a superb village in its own right, with a more relaxed atmosphere and its own small selection of restaurants and bars. Soldeu has become the home of boarding in the Syrenees - perfect for beginners to learn on wide, gentle slopes that are served by chair, not drags. 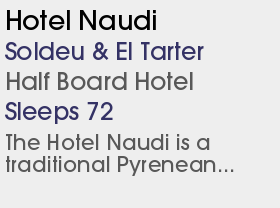 For the more advanced, it offers some good off-piste and the best terrain parks in the Pyrenees. The main terrain park above Riba Excorxada has a good reputation; serviced daily with frequent organised events, with a 'park only pass' available. Features include a triple line of kickers, huge gap jumps, jib aand giant airbag. There's also a great selection of rails including a big railbow rail, wave rail and two wall rides. Opened in 2011, the Sunset Park Peretol caters for all levels and with beginner slopes served by draglifts, it is floodlit in the evening, staying open to 9pm, with music. In Pas de la Casa, a new 10-person gondola was installed to take novices from resort level to the beginner slopes, cutting out the need to catch a bus.